When a death occurs in a care facility, such as a hospital or nursing home, the professional staff will notify you and the necessary authorities. If a loved one was in the care of a hospice program, a hospice representative may give family members instructions and procedures to follow. In other situations, such as when a death occurs at home or in the workplace, a family member should contact emergency personnel and the person’s physician if he or she was under a doctor’s care. In those first few hours . . .
One of the first phone calls you will need to make is to the funeral home you will entrust with the care of your loved one. 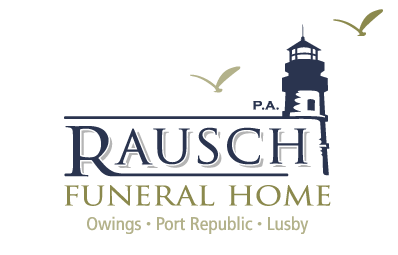 The funeral directors at Rausch Funeral Home are experienced professionals who can provide information and guidance. Call or contact other family members and friends. Call clergy or other spiritual advisors. If your loved one wanted to be an organ donor, inform the hospital staff or the organization to receive the donations. A death certificate is a legal document signed by the attending physician indicating the cause of death and other vital statistics pertaining to the decedent. If your loved one died in an accident, the county medical examiner or coroner may prepare the form. The funeral arranger can help you prepare and file the death certificate with the state and assist you with purchasing certified copies. Certified copies are needed to apply for benefits due the family, to sell or transfer ownership of property, to gain access to safety deposit boxes and bank accounts and to receive Veteran’s benefits. Additional copies may be ordered at any time directly from the county or state agency responsible for vital statistics. When you visit the funeral home, the funeral director will provide you with price lists and guide you through the entire arrangement process, explaining how you can create a memorable personal celebration of your loved one’s life. The arrangement process may include preparing and filing the official death certificate; scheduling the location, date and time of services or events; selecting a casket, urn or other items; preparing an obituary notice; scheduling vehicles; and selecting pallbearers. You may also sign necessary authorizations or make arrangements to have them signed by the appropriate family members. Feel free to bring any photos, music or memorabilia so that you and your funeral director can discuss how you would like your loved one to be remembered. More and more people today choose to personalize the funeral services they plan for their loved ones. A favorite song, a favorite gathering place, even a favorite activity can all become part of the service. Our funeral director will listen and assist you in planning a loving tribute that captures the spirit of the person whose life you wish to honor. The funeral director will discuss personalization with you during your arrangement conference. If you choose interment, you will need to select a grave space, lawn crypt or mausoleum space and will want to choose a memorial or monument. There will be a professional service fee for the interment. If you choose cremation, remember that you can plan a visitation and funeral ceremony to be held before the cremation. Another option is a memorial service to be held after the cremation with the urn present and/or a display of photos and other items that illustrate the life of your loved one. You also have memorialization options at the cemetery, including permanent placement of cremated remains. Your funeral dierctor will explain all of the options available to you. A structure consisting of small vaults or niches for urns containing cremated remains. The ceremony at the gravesite following a funeral ceremony or gathering in a church, chapel or other location. An interment space in a mausoleum. The interment of human remains in an above-ground crypt or mausoleum. The placing of remains into their final resting place, such as the ground, a tomb, crypt or niche, etc. The placing of an urn containing cremated remains into a columbarium, niche, crypt, tomb or ground space. A subsurface concrete structure constructed in multiple units for the interment of human remains. Lawn crypts may be constructed with more than one tier or level. A public or private building specially designed to receive entombments in crypts and niches. Any item, other than a mausoleum or columbarium, used for identifying an interment space or for commemoration of the life of a decedent, including, but not limited to, a monument, marker, niche plate, urn garden plaque, crypt plate, cenotaph, marker bench and vase. A compartment or cubicle for the memorialization and permanent placement of cremated remains. Any container which is designed for placement in the grave around the casket including, but not limited to, containers commonly known as burial vaults, grave boxes and grave liners. The fee charged for making an interment including, but not limited to, administrative, clerical, legal and mechanical services performed by the cemetery in conjunction with the opening of an interment space in preparation for the interment of human remains and the subsequent closing of the interment space after the interment has been performed. A container made from a variety of materials including, but not limited to, bronze, ceramic, glass, porcelain, wood or other materials, into which cremated remains are placed. Many are designed in traditional vase-like shapes or square and rectangular cubes.